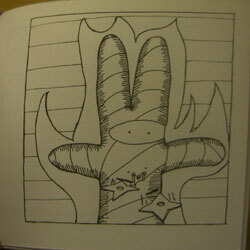 As Ninja Bunny dries off after his first adventure he gets a little hot under the collar as he crosses path with the dangerous flaming mummy, meanwhile a mysterious figure lurks in the shadows with a desire to seek revenge. This hilarious comic received a glowing review by Forbidden Planet. 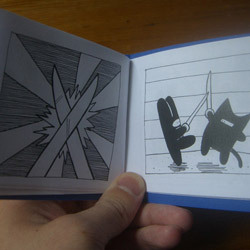 Handmade, black and white, 68 pages with a card cover.